A modern zero lotline plan which can fit onto almost any lot. 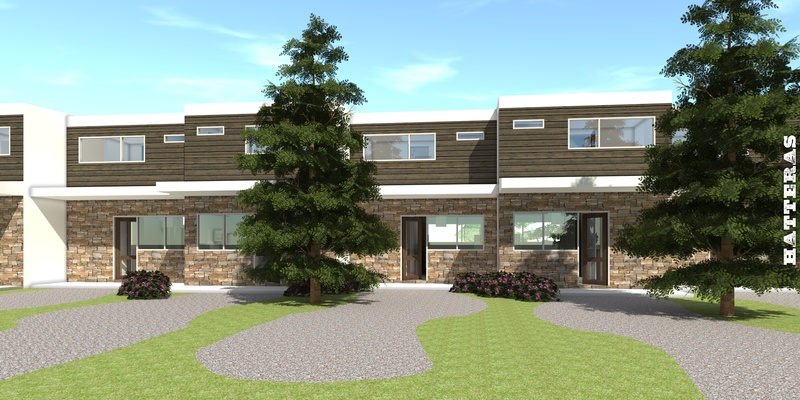 Hatteras can be built up against adjacent structures and provides a 2 hour firewall within the left and right walls. 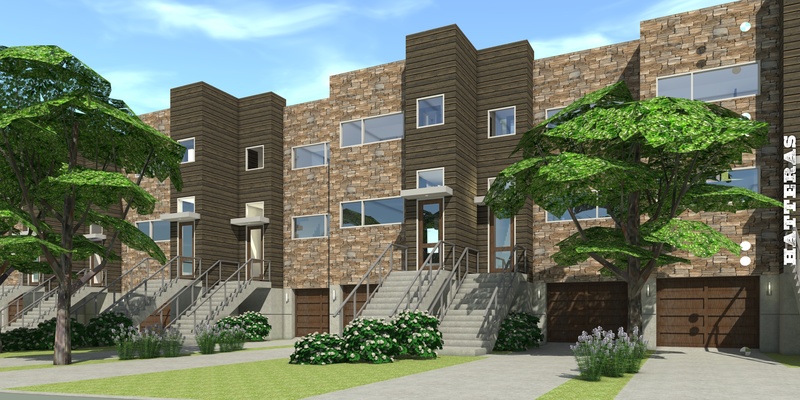 On lots which allow multi-family density, this plan can be built in groupings of 2 or more. The basement level is designed to be built into a slope, which makes this plan adaptable to properties with a grade. The foundation is designed with a concrete slab on grade and poured concrete basement walls. The second floor is pre-engineered wood trusses. The exterior walls are 2x6 wood framing, with a 2 hour fire rating. The exterior is finished with stone and wood. 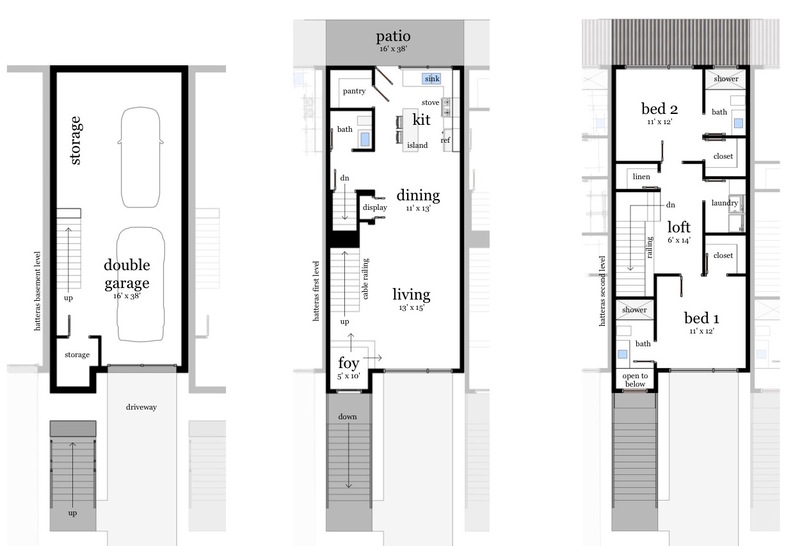 This is actually my favorite house plan for an affordable townhouse-style plan, except not as a modern, but instead as a vintage-style new York brownstone or industrial warehouse loft. I also love the look of a San Francisco stick house. 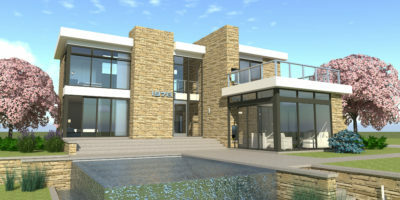 If I were to build, this house plan, though modified, would most likely be the one I’d want. I think it would be ideal with some additional options being offered, such as double stud walls, energy-star or passive house standard. I would also like to see an elevator incorporated into it for all three floors.